According to the National Highway Traffic Safety Administration (NHTSA), motorcycle collisions accounted for 14 percent of all traffic fatalities across the country in 2010. Since the mid-1990s, the number of motorcycle crashes has more than doubled, confirming statistic that the one in seven motor vehicle deaths in the United States occurred on a motorcycle. As these numbers continue to escalate, motorists must be conscious of the dangers present on the Arizona roads and highways. In 2011, an estimated 82,000 people were injured in a motorcycle traffic collision. In fact, a motorcycle operator is 16 times more likely to be killed in a motor vehicle crash than an operator of a car. While helmets help to curb the severity of injury or decrease the chance of a fatality, motorcycle drivers are immediately placed at a higher risk than a typical motorist. Public health concerns circle the glaring issues inherent in motorcycles. While the potential dangers associated with traveling in this manner may never subside, increasing global awareness about the risks involved with motorcycle riding will help to deter the number of motorcycle accidents, injuries, and fatalities. Phillips Law Group believes that those responsible for a collision should be held liable to compensate the injured. 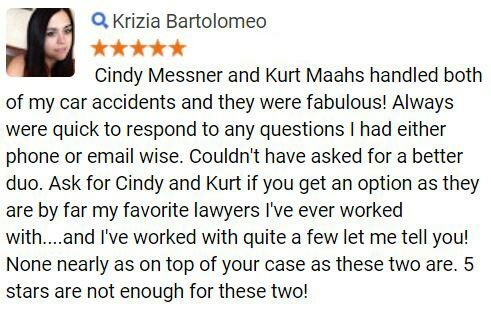 If you or a loved one has suffered from an Arizona motorcycle accident, we may be able to help guide you through your case. To learn more, please complete a Free Case Review form on this page. Rural roadway motorcycle fatalities have been on the rise in recent years. In addition, the majority of severe motorcycle crashes occur at night, highlighting a few evident issues. First, motorcycles are much smaller than typical vehicles on the road, this makes them difficult to spot and avoid on the road. As motorists go to quickly change lanes, a motorcycle in their blind spot may be at serious risk. Furthermore, motorcycle operators tend to drive at speeds in excess of the posted limit. Due to the swift, agile nature of a motorcycle, riders tend to see operating these vehicles as a sport as opposed to a means of transportation. These factors heighten the hazards associated with riding, and thus, increase the chance of a motorcycle crash. In the first quarter of 2011, 22 states saw an increase in the number of motorcycle crash fatalities. As more and more motorists are educated on the dangers associated with motorcycles on the roads and highways, the likelihood of a crash decreases. Complete a Free Case Review here for more information. Arizona was amongst the 22 states in 2011 that saw an increase in the number of motorcycle deaths. An Arizona motorcycle accident has the potential to cause severe injuries in those involved, especially when a helmet is not worn by the rider. At Phillips Law Group, we believe that motorcycle education is one of the best techniques to deter the number of crashes each year. In Arizona, those riders 17 years old and younger must wear a helmet while on a motorcycle. While this partial helmet law is better than none at all, the lack of a universal law places all motorists at a serious risk for injury and, in the worst case scenario, death. If you or a loved one has been injured in an Arizona motorcycle accident, Phillips Law Group is prepared to walk you through each step of the legal process. We dedicate our time and energy to seeking justice that injured Arizona residents deserve. 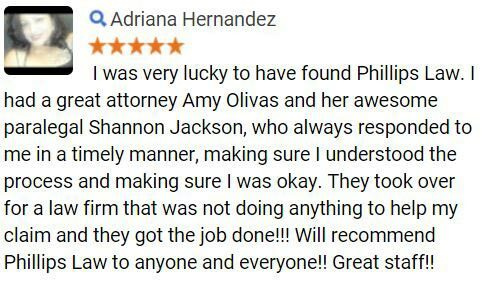 Phillips Law Group strongly believes that negligent drivers must be held responsible for the damages that they cause on the Arizona highways and roads. Through meticulous research and thorough investigation, we are able to fully understand the situation at hand, and thus, craft an argument that places you in the best position to win. 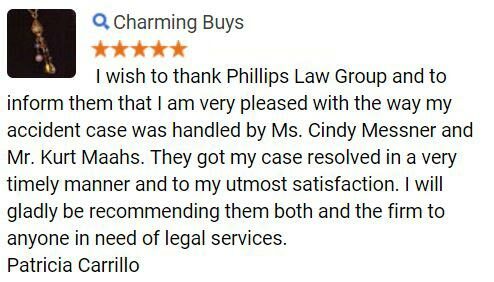 Phillips Law Group is Arizonas law firm. 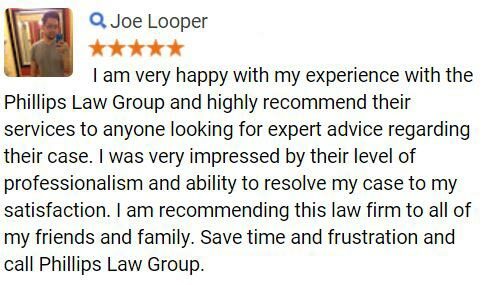 To learn more about our firm, simply complete a Free Case Review and get started today.